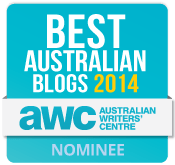 This entry was posted in Books, Home and Family, Writing and tagged Calling Yourself A Writer, Fiction writing, Romance Writers Conference 2014, RWA Conference 2014, The Writing Process, Threshold Moments, Turtle Reef, Writing a novel, Writing Resources by jenniferscoullar. Bookmark the permalink. I think you’re a writer as long as you’re writing. You’re an author when you get published. You’re a novelist when you get a novel published. It’s as simple as that. But beware, writing is addictive. Even after nearly 70 novels published, I can’t get enough of story-telling. To be away from writing for a week nearly kills me. Good thing I’ve got an understanding husband. Yes, it should be a straightforward definition thing, but it doesn’t always feel as simple as that. And Anna, I don’t know whether to be pleased or terrified that after all those wonderful novels, you’re still hooked! -grin- I’m having a good day today. So very true. I have this conversation in my head every time someone asks what I do with my free time. Some day (very soon!!) I hope to answer one step further, that my profession is author, without the word aspiring before it!!! I will also be there next week, immersing myself amongst others who understand the identity crisis!! Can’t wait for the conference! Maybe I’ll see you there Miranda?